Drawing from the theory of nonlinear risk and fragility detection, we analyze which portfolio management attributes should be of most concern to the practitioner in a goal-based setting. We begin by constructing a risk measurement mechanism using a Gaussian stochastic Monte Carlo process. We then analyze which portfolio inputs are most sensitive to errors. Counterintuitively, we find that portfolio variance is of least concern, whereas factors affecting the future required minimum wealth level are of greatest concern. We show how goal-based practitioners get the most bang for their buck by focusing on the accuracy of their inflation projections (not often a first focus) and portfolio variance last (often the first focus). These results can help both the practitioner and researcher dedicate resources to answering the questions that are of most importance when a future goal is at stake. The purpose of this framework is twofold. First, we aim to provide a tool for better understanding the risks that sit within the traditional tools and techniques of portfolio management used by practitioners. Second, we aim to provide a framework for ascertaining which portfolio management inputs are the most sensitive to errors—and thus require the most attention from the practitioner. Investors are, after all, busy people with many items requiring their attention. Knowing, therefore, which items take priority and which are not as pressing is useful. From here, we will discuss the theoretical background on which we base our analysis. After the background, we will lay out the framework itself, and finally we will discuss the implications for portfolio management in a goals-based setting. The theoretical framework under which we operate is heavily drawn from the work on nonlinear risk done by Taleb  and Taleb and Douady . In summary, the concepts that inform our work are fairly simple, even if their application is more complex. Most importantly, we have learned that the harm caused by wrongness is not linear; that is, being more wrong can create exponentially greater harm. For example, not stopping at a stop sign and having an accident while traveling at 20 miles per hour is exponentially less harmful than not stopping while traveling at 40 miles per hour. The first instance will create an insurance claim, whereas the second will lead to a hospital visit. This is exponential harm resulting from linear wrongness—the harm being the insurance claim versus the hospital visit, and the wrongness being the traveling speed while not stopping. In addition, the amount of harm caused by wrongness is not distributed equally across all variables. Furthering our stop sign example, there is an exponential difference between the harm caused by traveling faster and the harm caused by the type of vehicle. The driver of a motorcycle traveling at 40 miles per hour incurs exponentially more harm than the driver of an SUV traveling the same speed. Ultimately, which variable we get wrong and by how much we get it wrong are serious factors in portfolio management. 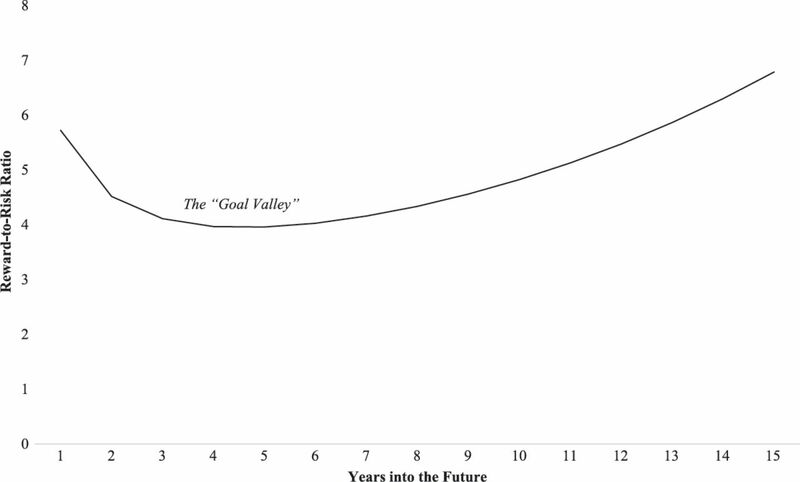 The obvious challenge faced by practitioners is that we know future estimates are wrong, whether they involve covariance inaccuracies leading to miscalculations of future portfolio variance (Michaud and Michaud ), expected asset returns aggregating into miscalculations of future portfolio returns (Ilmanen ), or misjudgement of inflation outlooks leading to a miscalculation of future value requirements (Bryan, Cecchetti, and Wiggins ). Furthermore, when managing money, agents have to worry not just about their mandate but also their perception. Money managers, after all, face the ongoing presence of the principal–agent problem (Grossman and Hart ). Furthermore, whenever a mandate has either a time requirement or required future funding outlay (i.e., a goal), that mandate is subject to added risks, such as the time-dependent dynamics of loss-tolerance (see Parker [2014, 2016]) and the unreliability of the law of large numbers to act in favor of a goal-based investor (Bhansali ). More importantly, on a relative basis, which risks should goal-based practitioners worry about? Is portfolio variance of greatest concern? To dig deeper into what keeps the practitioner up at night: How concerned should one be about incorrectly estimating the portfolio’s future variance, return expectation, and so on? We must, after all, estimate these things. What is the cost of being wrong? With limited staff, time, and resources, which problems should we focus on solving? 1. We do not need to know the exact function that describes future outcomes. Any function is subject to model error and thus is wrong. 2. Rather than attempt to build a hypothetically “accurate” model to stress-test across variables (which we know would be wrong), we can use any model that describes the future—however inaccurately—so long as we can compare the harm incurred across various levels of wrongness. 3. We can assess risk sensitivities by comparing these outcomes. Before we can measure anything, we need a ruler. As an immense relief, our ruler does not need to be accurate because we are not trying to measure anything in an absolute sense. Rather, we simply need a consistent point of reference to recognize the extremity of the aggregate changes wrought by the test variables. As Taleb and Douady  put it: “a wrong ruler will not measure the height of a child; but it can certainly tell us if he is growing.” We want to see how quickly portfolio risk grows based on the possible wrongness of an estimation.
. By running the model through a Monte Carlo process and counting the number of successful trials versus the number of unsuccessful trials, we can calculate the baseline probability of achieving the future goal. Once we have an understanding of the baseline probability, we can then change each variable as a representation of possible wrongness, re-run the Monte Carlo process, and compare the change in goal achievement probability. As the changes in probability from the baseline affect an outcome, we can then determine which variables are of most concern. Remember, we are looking for exponential harm from linear wrongness as an indicator of fragility. Our model is built with the inverse probability density function (PDF−) and a stochastic Monte Carlo process. There are clear problems when modeling future returns and risk using the PDF− (see Behr and Potter ; Aparicio and Estrada ), but as we have discussed, we do not need an accurate model, we simply need a model; the absolute results are not important, only the relative results. To that end, the PDF− is a good shortcut. is the future value of the portfolio at moment j, t is the number of years until the required funding outlay, m is the expected return of the portfolio, s is the standard deviation of the portfolio, Ф–(·) is PDF−, εi is the stochastic variable at a given time index defined as i, and P is the present value of the portfolio. In short, this process simulates the life of a portfolio, starting at the present value and ending at some number of years in the future. Each time period is generated by pulling a randomly selected percentile return from the normal distribution, then applying that aggregate growth factor to the present value of the portfolio. where Freq. is the required future value to achieve a goal, J is the total number of moments simulated, and the V(·) function counts the number of moments that meet the parenthetical requirement. This formula returns the probability of the simulated final wealth value meeting or exceeding the specified required value. After generating the baseline probability, we can then change each variable in turn and measure the change in probability using the same process described earlier. In short, the variable with the most impact on the probability of achieving the funding outlay is the variable to which the portfolio is most sensitive and error-prone. Within this context, we define wrongness as the negative change from the baseline and harm as the change in probability of reaching the minimum wealth level (more harm means less probability of achieving the funding requirement). Note also that, in an effort to keep an apples-to-apples comparison, we have adjusted the variables by the same percentage rather than by various individual levels. For example, when adjusting the possible future value by 10%, we have adjusted all variables by 10% and then compared the outcomes of each variable change with the baseline and also with each other. Now that we have built the ruler, we can measure the changes in outcome across different variables. We have attempted to maintain generality so that these results are cross-applicable to various individual goal-based situations. Remember, the absolute values are not important (because we know they are wrong). Rather, we are concerned with the values relative to one another and the shape of the “harmfulness” curve. Of concern is how quickly errors in the model compound because the errors with accelerating harmfulness are those that represent the most risk to a portfolio. Nonlinear harms caused by linear wrongness pose the greatest threats. • Wrongness of present value creates, by far, the most harm for being wrong (56 times the baseline scenario). • Wrongness of future value comes in second, creating five times more harm than the baseline. • Wrongness of time until a goal is third, with two times more harm than the baseline. • Wrongness of average return rounds out fourth place, with two times more harm than the baseline. • Wrongness of variance is last, with a mere 10% (1.1 times) more harm compared to the baseline. Exhibit 1 illustrates the harm caused by the various wrongness of the variables just listed. The horizontal axis is the wrongness of the variable; the vertical axis measures how much harm that wrongness causes, as measured by the probability of achieving the funding requirement. From this analysis, we can draw some interesting conclusions. First, it is clear that changing levels of current portfolio values have the most dramatic effects on funding achievement. One implication of this result is that the double-dedication of assets can be troublesome. It is not uncommon in goal-oriented settings to dedicate one mental account (Thaler ) to multiple purposes. Perhaps an investor has an account dedicated to a legacy goal but has a tendency to take withdrawals from the account to fund family vacations. Although family vacations may be a legitimate goal, there is extraordinary risk to the specified goal when the assets are double-dedicated in this manner. By drawing down the account balance, the investor has introduced wrongness into our calculations of present value, and that wrongness creates exponential harm. where ΔW is the change in the required minimum wealth level in future dollars, w is the required minimum wealth level in current dollars, Rn is the realized rate of inflation in a given year, N is the number of years projected and realized, and r is the projected rate of inflation. Exhibit 2 illustrates the various levels of inflation misestimation and their effects on final wealth calculations, as defined by Equation (3). If the practitioner underestimates inflation by an average of one percentage point per year, then the final wealth value is underfunded by 7%. A two percentage point underestimation puts the final wealth value a firm 19% below where it needs to be. Note the exponential harm caused by linear wrongness (2.7 times more harm incurred from only 2 times more wrongness). Given the already exponential nature of harm caused by the wrongness of future value calculations (illustrated by Exhibit 1), it becomes very clear that this is an estimation that we need to get as right as possible! The potent role of inflation was also pointed out by Brunel . Additionally, this discussion illuminates a possible need for portfolio corrections due to inflation misestimations. That is, as realized inflation deviates from projected inflation, it may be reasonable for the practitioner to make allocation adjustments to correct for those misestimations. Of course, very often asset prices are linked to inflation (Brunel ), so the portfolio may self-correct, but there are examples of that not necessarily being the case. A deeper study into these ideas might be a fruitful area of further research. Third, portfolio return forecasts are of mid-tier importance. Although they certainly affect long-term outcomes, they are only about half as important as accurately forecasting required future values and are on par with changes in the time until a funding outlay. This is somewhat surprising because return forecasts are usually of primary importance to practitioners, consuming the time, resources, and thought energy of their teams. On a relative basis, however, it would seem that accurately projecting inflation seems to provide much more “bang for your buck” when a future goal is at stake. grows faster in the beginning and slower at the end, whereas xy grows faster in the end but slower in the beginning. That relationship is important for a goals-based investor to keep in mind. We have shown that practitioners should be very concerned with getting their future value calculations right. Common practice may be to off-handedly estimate inflation figures, but in fact, inflation calculations may be the most critical assumption we make when managing a goals-based portfolio. Variance is of least concern in goal-based portfolio management. This may be partly why the so-called 1/N portfolio performs so well in out-of-sample tests when compared to mean–variance optimized portfolios (DeMiguel et al. ). Of course, practitioners have secondary concerns. We are, after all, judged by a benchmark of some kind. In a risk-adjusted comparison, risk is defined as variance. It is rational, in a capital-agent environment, for the agent to be most concerned with the two factors that go into that calculation: return and variance. We have shown, however, that these attributes are not the most efficient first focus for invested capital. We should, however, clarify at this point. We are not arguing here that inflation is the only variable of importance to a practitioner. Rather, we want to caution practitioners against using a default or off-handed figure for such a critical variable. It is worth the time and energy of investment teams to get a future value calculation as right as possible—even if that is done at the expense of portfolio variance or return forecasts. Furthermore, as mentioned before, it may be prudent to include a mechanism to correct for natural inflation misestimates in a goal-based portfolio management process, although this has not yet been introduced in the literature. For practitioners concerned with creating robust goal-oriented portfolios, applying time and energy to the most fragile areas of portfolio management is a good use of resources. In sum, we find that practitioners (and their capital) are most rationally served first by dedicating time and resources to first understanding their current position and mandate for those assets; second by honing the accuracy of their future required values (including accurately calculating inflation estimations); third by accurately calculating their expected returns and funding timeline; and last by accurately estimating their portfolio variance. “Empirical Distributions of Stock Returns: European Securities Markets, 1990-95.” European Journal of Finance , Vol. 7, No. 1 (2001), pp. 1-21. “Alternatives to the Normal Model of Stock Returns: Gaussian Mixture, Generalized logF and Generalized Hyperbolic Models.” Annals of Finance , Vol. 5, No. 1 (2009), pp. 49-68. Tail Risk Hedging: Creating Robust Portfolios for Volatile Markets . New York: McGraw Hill, 2014. “Goal-Based Wealth Management in Practice.” The Journal of Wealth Management , Vol. 14, No. 3 (2011), pp. 17-26. Goals-Based Wealth Management . Hoboken, NJ: John Wiley & Sons, 2015. “Efficient Inflation Estimation.” NBER Working Paper , No. 6183, September 1997. “Optimal Versus Naïve Diversification: How Inefficient Is the 1/N Portfolio Strategy?” The Review of Financial Studies , Vol. 22, No. 5 (2009), pp. 1915-1953. “An Analysis of the Principal-Agent Problem.” Econometrica , Vol. 51, No. 1 (1983), pp. 7-46. Expected Returns . West Sussex, U.K.: John Wiley & Sons, Ltd., 2013. Efficient Asset Management: A Practical Guide to Stock Portfolio Optimization and Asset Allocation , 2nd ed, New York: Oxford University Press, 2008. 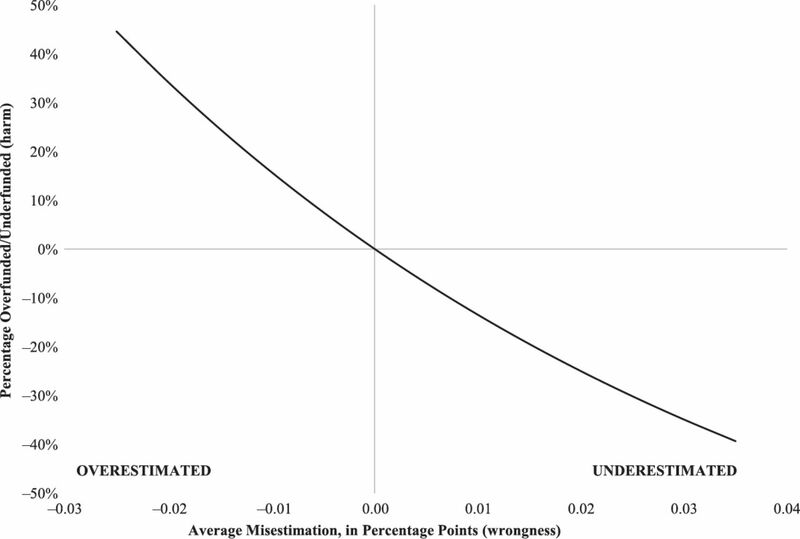 “Quantifying Downside Risk in Goal-Based Portfolios.” The Journal of Wealth Management , Vol. 17, No. 3 (2014), pp. 68-77. “The Erosion of Portfolio Loss Tolerance Over Time: Defining, Defending, and Discussing.” The Journal of Wealth Management , Vol. 19, No. 2 (2016), pp. 23-31. “Errors, Robustness, and the Fourth Quadrant.” International Journal of Forecasting , Vol. 25, No. 4 (2009), pp. 744-759. “The Future Has Thicker Tails Than the Past: Model Error as Branching Counterfactuals.” NYU-Poly Institute Working Paper, September 2012. “A New Heuristic Measure of Fragility and Tail Risks: Application to Stress Testing.” IMF Working Paper, August 2012. “Mathematical Definition, Mapping, and Detection of (Anti) Fragility.” Quantitative Finance , Vol. 13, No. 11 (2013), pp. 1677-1689. “Mental Accounting and Consumer Choice.” Marketing Science , Vol. 4, No. 3 (1985), pp. 199-214.